May 09. 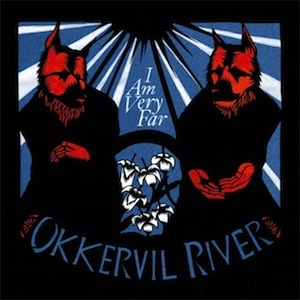 2011 | By Valerie C.
I Am Very Far marks Texas based Okkervil River’s sixth album. Also, the first one not co-produced by Brian Beattie. The success or failure of the album therefore rests entirely on the band and front man Will Sheff. “Abandoned by All Her Admirers,” laments Sheff in “White Shadow Waltz,” an expansive tune full of strings and crashing drum beats. “We Need A Myth” feels like an inner struggle between bleak reality and the hope for a better future. I Am Very Far is full of dark images conjured up by Sheff’s words, interwoven within the backdrop of every song. Okkervil River’s Will Sheff has always been a brilliant lyrical wordsmith. This is one of the things those familiar with the band’s previous works have come to expect from an Okkervil River album. And they do not disappoint here. It’s a solid effort, yet something seems to keep us at bay; it’s amost as if Sheff was having an inner battle within himself with each song. The production seems a bit, for lack of a better word, “messy” at times, but for a band that’s been battling commercial success for a better part of a decade, perhaps this is exactly where they want us to be.